Bent, A.C. Life Histories of North American Wagtails, Shrikes, Vireos, and Their Allies. New York: Dover Publications, 1965. BirdLife International. Threatened Birds of the World. Barcelona and Cambridge, UK: Lynx Edicions and BirdLife International, 2000. Ridgely, R. S., and G. Tudor. The Birds of South America. Vol. 1. 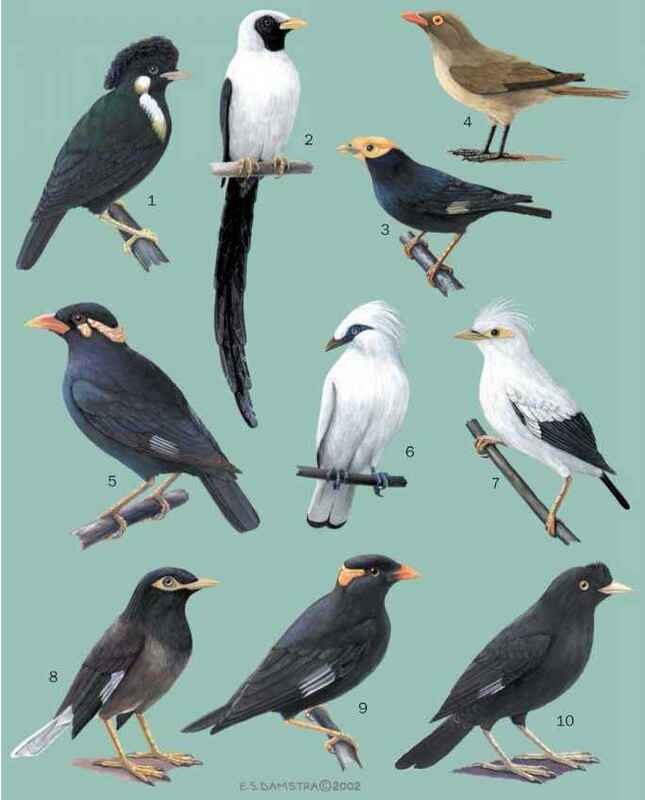 The Oscine Passerines. Austin: University of Texas Press, 1994. Greenberg, R., D. K Niven, S. L. Hopp, and C. A. Boone. "Frugivory and Coexistence in a Resident and Migratory Vireo on the Yucatan Peninsula." Condor 95, no. 4 (1993): 990-999. Hopp, S. L., C. A. Boone, and A. Kirby. "Banding Returns, Arrival Pattern and Site Fidelity of White-Eyed Vireos." Wilson Bulletin 111 (1999): 46-55.